Success! Reth from Cambodia raised $292 to fund cataract surgery. Reth's treatment was fully funded on July 13, 2017. Reth underwent successful cataract surgery. Reth’s eye cataract was successfully removed from her left eye, and clear vision has been restored. Following the operation, she was given eye drops to reduce inflammation. 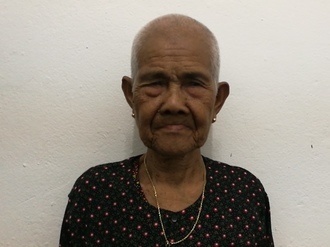 Reth is a 76-year-old homemaker from Cambodia. She is married and has three sons, five daughters, and 20 grandchildren. In her spare time, she enjoys watching TV, listening to monks pray, and looking after her grandchildren. About two years ago, Reth developed cataracts in both eyea that have caused blurred vision and tearing. It is difficult for Reth to see things clearly. As a result, she cannot work and worries about how her vision might deteriorate further in the future. Reth learned about our medical partner, Children’s Surgical Centre (CSC), from her neighbor. She traveled two hours with her niece to reach CSC for treatment. Reth is scheduled to undergo a phacoemulsification cataract surgery and intraocular lens implant on February 22. CSC is requesting $292 to fund the surgery. After the procedure, Reth will be able to see clearly again. 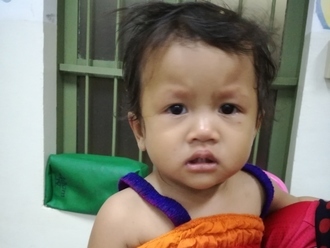 Reth's case was submitted by Korng Hout at Children's Surgical Centre in Cambodia. Reth was submitted by Korng Hout, Accountant at Children's Surgical Centre, our medical partner in Cambodia. Reth received treatment at Kien Khleang National Rehabilitation Centre. Medical partners often provide care to patients accepted by Watsi before those patients are fully funded, operating under the guarantee that the cost of care will be paid for by donors. Reth's profile was published to start raising funds. Reth's treatment was successful. Read the update. Reth's treatment was fully funded.